Originally called the 78000, to stress its kinship with the 68000, the new architecture promised to outclass the performance of the processors used in top of the line Macintoshes and NeXT workstations. It also could execute more than one instruction per clock cycle, allowing parallel computing and thus 3-D graphics, real time videoediting and videoconferencing. 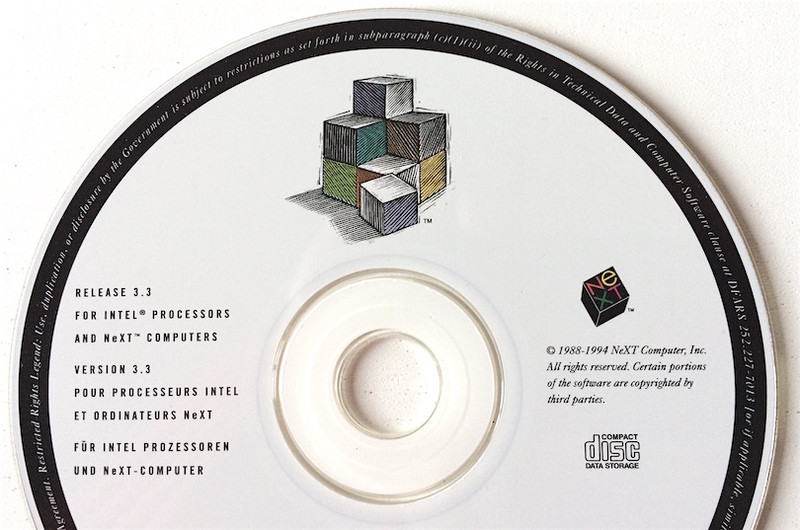 NeXT’s new computer was slated to ship in late 1991 or in early 1992, but – as Infoworld warned – the move to RISC for Next could be a precarious one. In its brief history, the company had already had difficulty wooing developers and the move to RISC would require that all software be completely recompiled. supposedly for “a 1992 release” too. Apple had already been working for a couple of years on its first attempt to develop a RISC-based architecture” using the 88110 chip. Called “Jaguar”, the project was spearheaded by computer scientist Hugh Martin, by Apple’s then software chief Roger Heinen and Tom Bentley, a Stanford-trained product designer and ex-PARC researcher. According to some reports in 1990 there were already two to three dozen engineers working on projects for Jaguar. Unfortunately Apple and NeXT’s 88110-based computers failed to materialize on the market, for different reasons. At Apple, the CPU’s downfall was the existence of a competing project to Jaguar and the start of an incredible alliance with a former market enemy. Adopting exclusively the 88110 chip the Jaguar engineers worked cleanly from scratch and chose to break compatibility with all previous Macintosh software. In the meantime, a scrappier team led by another Apple veteran engineer, Jack McHenry, approached RISC from a different and more pragmatic angle. It adopted the new technology but still strived to retain compatibility with the 68k code. This rival project, later name “Cognac”, had among its staff Gary Davidian, an expert in the field in programming microprocessors and ROMs, who wrote and rewrote the 68k emulator for every RISC chip Cognac tried. On October 2, 1991 Apple announced the AIM alliance with IBM and Motorola. 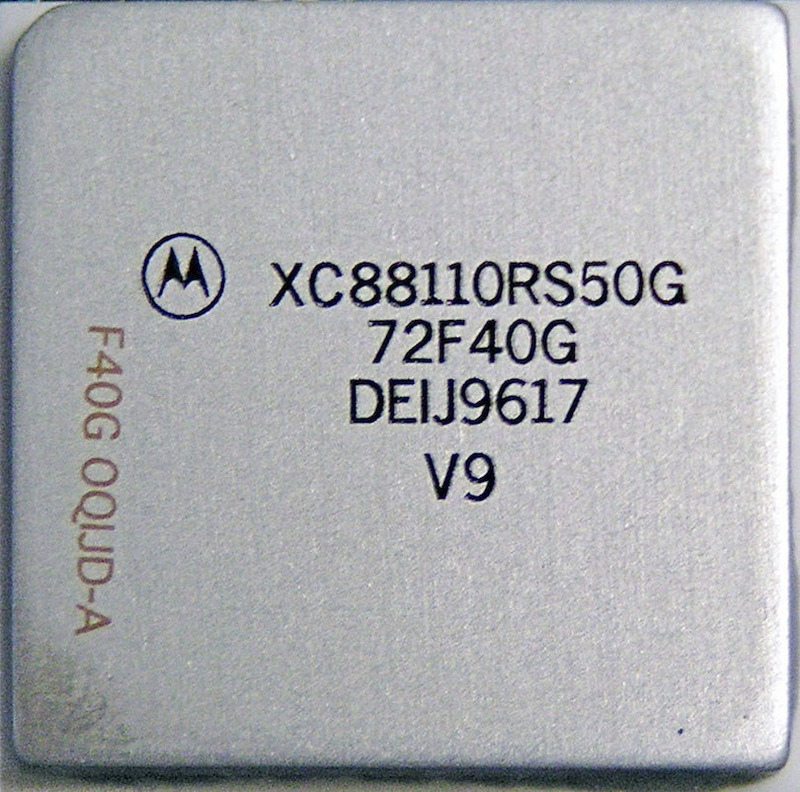 The first viable RISC CPU was the 601, designed and delivered on a crash schedule by AIM in less than one year, on September 1992. Cognac was ready and Jaguar was not. This was the end for the project led by Martin and the MC88110. Apple introduced the first PowerPC 601-based Power Macintosh computers (and upgrades) on the Mac’s 10th anniversary, January 24, 1994 and released them in March, using further iterations of the RISC processor for more than 10 years. And what about NeXT? Well, it worked for at least two years on its Operating System, NeXTSTEP, successfully porting it to third party CPU/hardware platforms, starting with the Intel x86 in 1993. But the same year it had to admit defeat on the market and abandoned making hardware of its own. It reconfigured as a software company, laying off 300 of its 540 staff employees, and tried to sell the hardware business side, including a high-tech factory, to Canon. Two years later NeXT released two additional ports of its OS, both for RISC platforms, PA RISC and SPARC. These efforts proved instrumental some years later. After the acquisition by Apple, the portability of the OS and the ability to create multi-architecture binaries, informally known as “fat binaries”, helped transform NeXTSTEP into Mac OS X and third party developers to port their software for new CPUs, not once but multiple times.